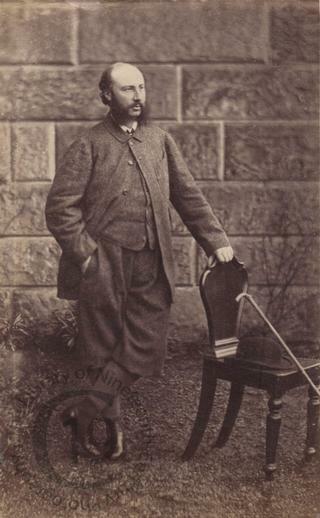 Born on 27 May 1830 at Glasgow, William Thomas Francis Agnew Wallace was the eldest son of Sir John Alexander Agnew Wallace, Bt., and his wife Janet née Rodger. He entered the Army and rose to the rank of Lieutenant-Colonel in the service of the Grenadier Guards. He was at one time an Assistant Military Secretary in Australia. His father died on 10 February 1857, aged 82, and William became the 8th baronet. He lived at Lochryan House, the family seat in Scotland near Stranraer in Wigtownshire. At the time of the 1861 census he was at 130 George Street, Edinburgh. Lieutenant-Colonel Sir William Wallace died, aged 61, in London on 28 January 1892.